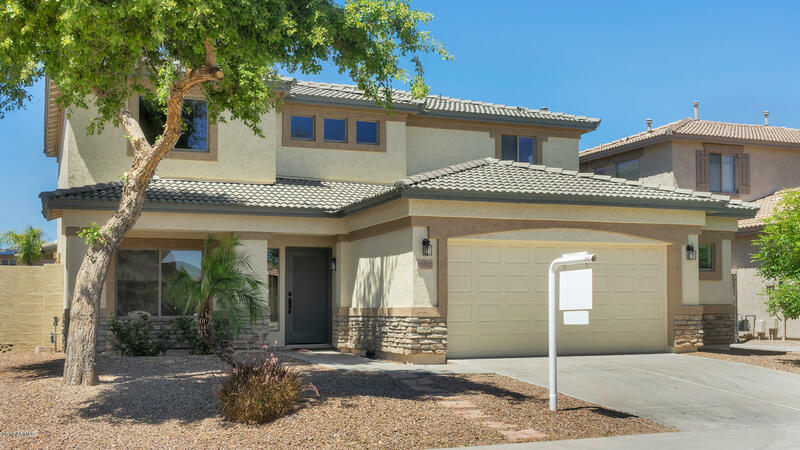 All SURPRISE FARMS PHASE 1B S homes currently listed for sale in Surprise as of 04/23/2019 are shown below. You can change the search criteria at any time by pressing the 'Change Search' button below. "THIS IS A MUST SEE! MAGNIFICENT UPGRADES IN THIS 4 BEDROOM + DEN, 2.5 BATHROOM, WITH POOL. CUSTOM TILE THROUGHOUT LOWER LEVEL WITH NEW WOOD-GRAIN TILE IN DEN. FRESH TWO-TONE PAINT COVERS ENTIRE INTERIOR AND EXTERIOR. LAUNDRY ROOM AND HALF BATHROOM DOWNSTAIRS. ALL BEDROOMS UPSTAIRS. BEAUTIFUL KITCHEN WITH CLASSY CABINETS AND GRANITE COUNTERTOPS OVERLOOKS THE FAMILY ROOM. UPSTAIRS COMPLETE WITH ALL NEW CARPET. MASTER BEDROOM FEATURES CLOSET ORGANIZER. 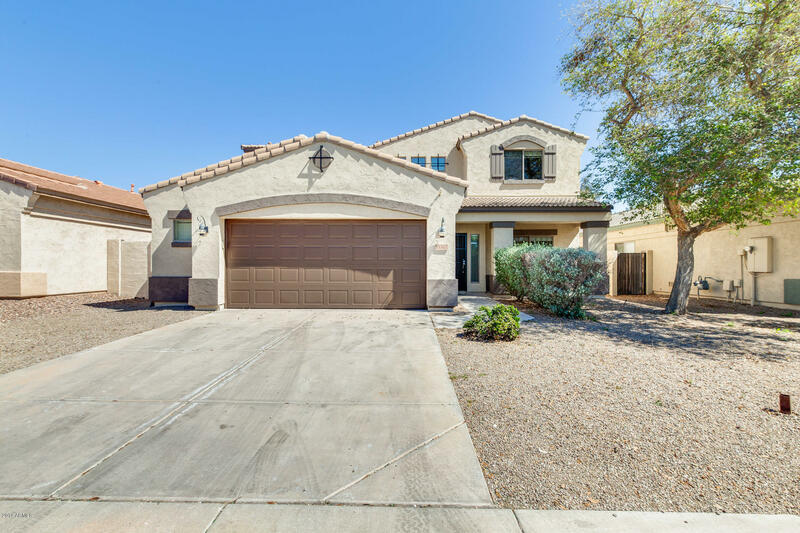 ENJOY YOUR BACKYARD OASIS INCLUDING POOL WITH "
"Move-in ready home in beautiful Surprise is waiting for you! This 4 bed, 2.5 bath home is warm and inviting! The living room is open and spacious, creating a nice flow into your lovely kitchen. The kitchen is a chef's dream with its abundant cabinet space, a functional island, and double ovens! Upstairs you will find 3 bedrooms and your luxurious master suite. The master bedroom boasts a lovely double vanity, relaxing shower and tub. Your walk-in closet has ample storage for all of your belongin"